you’re depriving temptation of its power over you. When you overeat, you are really abusing and torturing your body with food it doesn’t need. Excess weight causes you to bury your talents, wasting energy that could have been used for productive labor. So the evidence is clear: Overeating is a form of self-punishment. The underlying psychological mechanism of this is anger, and there can be many reasons for your anger, as will be described below, but knowing this, and yet continuing to care more about the illusion of “feeling good” than you care about the welfare of your body and soul, is a sad mistake. This index assumes that excess mass is the result of body fat. If you have a muscular, athletic body type with little fat, then you may not be at risk for the health dangers of obesity. Men at the low end of Normal may actually be underweight. Overeating is a symptom. It’s a symptom of something wrong: loneliness, boredom, anger, hopelessness, fear, loss of self-respect, loss of joy, and loss of belief in your value as a person. How often we eat to reassure ourselves that whatever else we don’t have, we still have the ability to experience all the comfort that food brings us! Good taste. The love of the one who prepared the food. Memories of the past. Moreover, food never rejects us! Food never criticizes! Food doesn’t ask for anything! It gives. It’s a quick fix that gives comfort, companionship, and a sensuous immediate thrill. Food becomes a supreme giver that takes precedence over all other aspects of life—even over God Himself. So what occurred? What afflicted the little child you used to be who yearned to be loved, to feel secure, to be alive and filled with joy? Some great sadness came upon you and stole your self-esteem and vitality. And then you began to deceive yourself. You deceived yourself about how little you trust God. You deceived yourself about how little motivation you have to change your life circumstances. You deceived yourself about how much resentment you carry in your heart over the mistreatment inflicted on you by others. You deceived yourself about how much you eat. Well, whatever occurred, it can be healed. You begin the process of healing by listening to the inner truth of your heart and trusting what you hear. The more trust you gain in yourself the less weight you gain on your body. We have many fears about hunger—but we cannot simply talk ourselves out of these fears without facing them. It can be scary to know how much is going on inside of yourself, and, yes, it can be scary to encounter your fears and your feelings. But realize this: it is yourself you are seeing, that lost child who has been buried alive under food and calories and binging and diets and vomit. Allow yourself to face the truth, not hate it. Be patient. It’s important to love your body before you can change it. It’s important to spend time with it by giving it kindness and understanding. It takes no more effort to be kind to yourself than it takes to make yourself miserable. Can you love yourself as God asks you to? Beginning a relationship with yourself—and with God—is like beginning a relationship with another person. It takes time, but you can come to value and love that person. You can be healthy and confident when you love your body and your soul, instead of hating what you have been. But it takes time; it takes work; it takes prayer; it takes love. Many psychological factors can hold you back from eating in a healthy manner, thus causing you to take on excess weight. You might resist physical exercise and disciplined eating habits (saying that it’s all “too much trouble” or “unfair”) because you resent the fact that as a child you lacked protection, guidance, and loving care from your parents. You might use food as a way to stuff down feelings of irritation and resentment because you blame yourself for not knowing what to do with those feelings. You might eat to compensate for the emotional “hunger” for acceptance from your mother who criticized, neglected, or rejected you. You might eat to compensate for a lack of identity because your domineering mother enmeshed you in her life, controlling you with guilt, and making you believe that you are responsible for taking care of all her needs and desires. You might derive a certain hostile satisfaction, and pride, from “throwing your weight around” as compensation for your feelings of social and emotional helplessness that began in childhood and continue now in adulthood. In contrast to the reasons for overeating, anger at a father who is lacking in gentleness and guidance because he is manipulative or controlling can lead to the development of Anorexia Nervosa, an eating disorder whose deep psychological intent is to get revenge on the father by punishing and controlling one’s body, even if the punishment results in near starvation. Body Armor. If you were sexually abused as a child, you may use body fat unconsciously as a sort of body armor to deflect the sexual desires of others. Deadened Emotional Awareness. Because of the emotional emptiness of growing up in a dysfunctional family, you may have, as a psychological defense, deadened your emotional awareness such that you perceive all emotions as hunger. Anger, frustration, fear, sadness, loneliness—it all feels like hunger. But, at its psychological depth, it’s really a hunger for emotional acceptance, not for food. Numbing Emotional Pain while Punishing Yourself because of an unhealed emotional trauma. For example, a sibling kills herself and a surviving sibling uses food as a means to numb the pain of the death and to punish herself for survivor’s guilt. Furthermore, the surviving sibling could also be using food to avoid the pain of admitting that the parents’ failures were a contributing factor in the suicide. Deprivation. If you felt deprived of emotional or material resources as a child, you will now resist the self-restraint of healthy eating because it feels like another form of deprivation. Loneliness. You might use food to comfort yourself when you feel lonely. Just as drugs, alcohol, or tobacco can seem like “old friends” that give comfort to addicts when life feels flat and empty, food, too, can be used to give the illusion that you’re not all alone in a cruel world. Boredom. You might eat simply to alleviate boredom. When you feel empty and useless, the act of eating conveys the satisfying feeling of “doing something.” But it’s all an illusion of accomplishment because all that is really accomplished is the grave mistake of feeding yourself blame. Some individuals have—or through yo-yo dieting have created—a metabolism that tends to store food intake as body fat, and for such persons it can be a trial—but not impossible—to maintain a normal body weight. The psychological danger here is they will (a) use dieting and exercise to punish their body for its genetic limitations; (b) use overeating to punish God for being so “cruel” as to allow such limitations; or (c) use overeating to punish themselves for their past mistakes in dieting. Some individuals have medical problems that make it difficult to exercise. In that case, one option remains: cut back on the amount of food that is eaten so as to compensate for the lack of energy energy expenditure, or else weight gain will be an unconscious punishment for bodily limitations. Some obese individuals will claim, in all seriousness, that they do not eat very large meals. But, if their eating habits are examined closely, it is often discovered that they “nibble” or “snack” almost constantly throughout the day. All of this points to the way that you can unconsciously deceive even yourself about your self-punishing behavior. All of these examples illustrate the danger of self-punishment. Nevertheless, one solution does exist: learn to treat your body with love rather than afflict it with resentment and hatred. Learn to exercise because it is a way to care for your body. Learn to avoid unhealthy foods or excessive food as a way to care for your body. Learn to eat healthy food as a way to care for your body. In essence, learn to fast —but be clear that fasting is an act of love, not punishment. In the Christian tradition, fasting does not necessarily mean to do without food entirely. Fasting really means to do without anything—not just food—that you do not really need. Now, when you cut out of your life food that you do not really need, you will be caring for your body, and so you will reduce your weight. When you cut out of your life food that is unhealthy for your body, you will be caring for your body, and so you will reduce your weight. Then, once you have attained an ideal weight, you can fast moderately, yet perpetually, in order to maintain an ideal weight. And what about saints who fasted to the point of being frail and thin? Were they anorexic? Well, someone who loses a taste for the world’s delights out of love for things divine acts virtuously; whereas someone who deprives herself of nutrition out of fear that she is not in control of her body acts from the place of a mental disorder. Make exercise a constant part of your life. Do bending and stretching exercises. Use light weights. If necessary, follow along with an exercise DVD to learn the routines. Or buy an exercise machine for home exercise. Walk, rather than drive, whenever possible. Take stairs rather than elevators. Eat foods made with whole grain flours. Avoid “store bought” baked goods that use refined white flour. Bake as much as you can at home, using whole grain flours. Reduce your sugar consumption as much as possible. Sugary foods such as cookies, muffins, donuts, pastries, and candy tend to be eaten for comfort almost automatically when you experience emotional strain—and when you eat automatically you lose awareness of your calorie intake. You don’t have to eliminate sugar entirely; just consume it consciously and carefully in very small prudent medicinal doses. Use light olive oil for shortening, not the commonly used “partially hydrogenated vegetable oil” stuff that clogs your arteries. Eat vegetarian foods as much as possible, rather than meat. It’s entirely possible to consume all the nutrients required for health with a gentle vegetarian diet (i.e., including eggs and milk products). Some religious orders make a vegetarian diet—that is, perpetual fasting—part of their rule. Avoid fried foods, because they add unnecessary (and unhealthy) grease to your diet. Greasy foods also tend to make your mind sluggish, thus interfering with prayer. Coffee and tea are fine for breakfast and dinner, but throughout the day avoid them, along with the culturally standard soda pop and colas, and drink only pure water. Drinking about 8 oz (250 ml) of water per hour is not only healthy (it keeps you properly hydrated) but it also helps to keep your stomach full, thus preventing you from feeling hungry between meals. Rather than eating whenever you feel hungry (and then eating to feel full), eat only at set meal times. At those meals, consume only healthy foods in a quantity that is necessary for you to achieve, and thereafter maintain, your desired weight. Whenever you are about to eat anything, whether it be a full meal or just a sip of water, take time to give it a proper blessing. In this way, your food will participate with you in a divine mystery, rather than be reduced to a mere object of consumption. Moreover, developing this habit of blessing your food will help you avoid “automatic eating,” and it will encourage you to reflect on whether you really need the food or not. Be careful of your language. If you frequently talk about how many tasks you have “on my plate” you’re confusing work with food, and work stress will then tempt you to overeat. But if you can make a clear psychological distinction between work tasks and eating you will be much more at peace with yourself. When you’re eating you should never have a full plate—eat only what is necessary for proper nutrition. As for work, you don’t have to “eat” whatever is put in front of you. Not every task has to be completed now—so work tasks are best left for their proper God-given time of completion. You can live within normal and healthy weight limits if only you love God’s mercy more than you desire to punish yourself. Right now you use food to numb your emotional distress, and you fear that without using food and excess body fat as psychological defenses your life will be nothing but empty pain. Therefore, to overcome the habit of constantly reaching for something to deaden pain, endeavor to teach yourself to act in new ways through love. Recognize the urge to use food as a way to numb emotional pain, and then return food to its proper place in your life: not as a psychological defense but as a holy gift of nutrition. 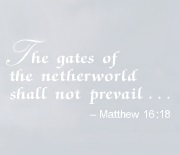 This takes considerable conscious effort—still, it is all possible through graceful trust in God’s help and protection. While you are making all these changes, it can help greatly to use some sort of relaxation technique such as Autogenics Training. 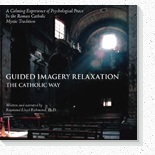 A relaxation CD (true to the Catholic faith) from the present website can help you experience relaxation as well. Moreover, the Catholic Church offers a centuries-old form of relaxation and emotional support: prayer. Accordingly, I offer below two ways to use relaxation and prayer to help you reduce your weight. The first way is best practiced at least two times a day (morning and night). The second way is a small card that you can print and carry with you; whenever you feel the urge to use food as a psychological defense, pick up the card, not food, and say the prayer. To know how ugly the behavior is and how destructive it is to yourself and to others. To know the damage caused by the behavior. To know the benefits of new and different behavior. Note carefully, though, that in trying to overcome an addiction you will immediately encounter a frustrating paradox: thinking about the negative consequences of an addiction will only increase the desire for the addictive substance. So why does this happen? Well, the psychological defense at the core of any addiction is denial, so when contemplating any negative idea (such as getting heart disease from obesity), your mind will crave the intense pleasure of the addiction as a way to override (i.e., deny) the frightening idea. Therefore, even though it is important to know the negative consequences of the addiction, the fear of those consequences in itself won’t be nearly so much a motivation for overcoming the addiction as will be the hope of positive changes. Consequently, those positive changes need to be visualized very, very clearly. So here is how to do it: practice the following procedure at least twice a day until you no longer need it. First, enter a state of relaxation. Here, you can simply sit (or kneel) and pray quietly. This is important because the next two steps (if done properly) will arouse substantial anxiety, and you need to be able to reduce that anxiety again. Second, create a negative mood state in which you visualize the harmful and disgusting effects of the unwanted behavior. For example, see your body swelled with fat; feel your muscles and bones straining under heavy weight; notice your shortness of breath; visualize cholesterol coating your arteries and heart. After the intense negativity of this mood has been felt fully, reduce the anxiety with relaxation. Then pray the Hail Mary. Third, contemplate how miserable and wretched your life will be if this behavior does not change. For example, see yourself wheezing for breath, barely able to endure any physical exertion. Imagine your children suffering from their own obesity because of your negative influence. Imagine yourself in Purgatory where every unnecessary mouthful of food you have ever taken will be purged from you. After the intense negativity of this mood has been felt fully, reduce the anxiety with relaxation. Then pray the Hail Mary. Fourth, create a positive mood state in which you visualize the beneficial effects of new, healthy behavior. For example, see yourself as calm and confident in your faith, relaxed and able to concentrate, free of frustration and tension, a positive influence on others. Use your relaxation technique to enjoy a peaceful state of mind with a deep sense of hope for yourself and love for others. Pray the Hail Mary. Fifth, reinforce your positive mood with positive statements of validation. Repeat the statements several times. Create your own, or select from the following examples. Lord, when grounded in prayer, I work calmly and confidently. Give me the grace to not let my self-confidence be bothered by small mistakes. In You I can overcome all obstacles with total confidence. Give me the grace, Lord, to respect my own body as a temple of the Holy Spirit and to present myself to others with respect and dignity. Give me the grace, Lord, to remain calm, relaxed, and composed in any situation. Lord, let Your calmness and patience reflect through me to shine upon others as compassion and sensitive understanding. You, Lord, give me an experience of peace and calm that cannot be threatened by anything outside myself. I thank You, Lord; I refuse to be jealous or envious, and I wish peace and good to all. In You, Lord, there are no “good” days or “bad” days; there is only love. The Hail, Holy Queen (Salve Regina). The prayer to St. Michael the Archangel. who prowl about the world, seeking the ruin of souls. O MARY, conceived without sin, pray for us who have recourse to thee. Through the grace of your purity, may this unclean habit cease. FROM habit and slavery, pray for my release. FROM anger, fear, and anxiety, pray for my release. FOR health and calm and peace, pray for me. FOR emotional sensitivity, pray for me. TO be filled with all the fullness of divinity, pray for me. 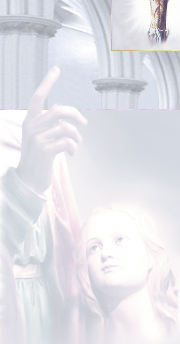 Pray for us, O holy Mother of God, that, by Christ redeemed, we choose to live in purity. Amen. 1. What is the difference between a person with the psychiatric disorder of Anorexia Nervosa and saints—especially some medieval saints—who were notably frail and thin? Well, the difference is the same as the difference between fear and love. The disorder of anorexia is unconsciously motivated by fear: fear of emotional intimacy, fear of one’s own anger, and fear of not being “in control.” The anorexic uses the body to achieve a sense of (illusory) control over the world. The saint, in contrast, is motivated by love: a love for God that leads to a detachment from the world and its satisfactions—even to the point of mystical, more so than physical, nourishment and sustenance.